Last month we had our annual Plasma sprint and as it’s been a while since I last blogged, let me show you some of the work we did and what’s coming up next. A feature I teasered in my last blog post is media controls on the lock screen. The patch has now landed and will be part of the next Plasma release, 5.10, to be released end of May. 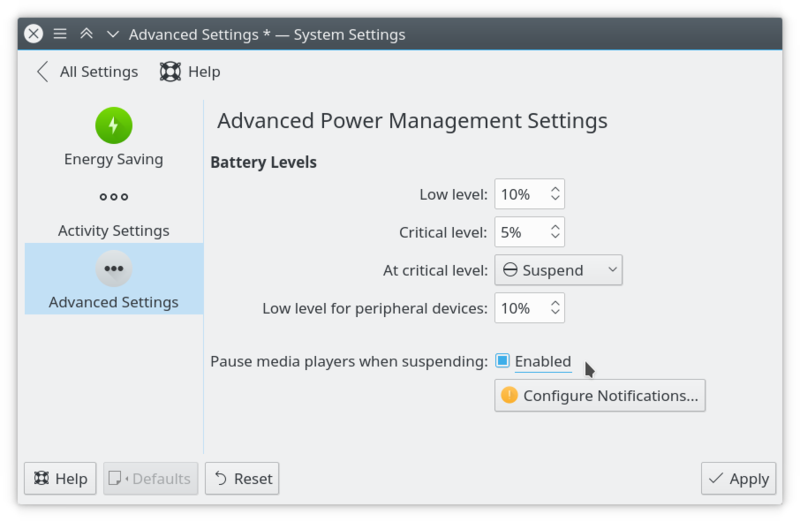 PowerDevil, Plasma’s power management service, also gained the ability to pause media players before sending your computer to sleep. This helps you avoid embarrassing situations at university or work where your laptop might start blaring music at you from last night’s hacking session when you get it out of your bag. In Plasma 5.6 we introduced support for Jump List Actions and since then we have continuously been improving accessibility to functionality found within applications. However, Jump List Actions are statically defined in an application’s .desktop file and as such usually cannot be dynamically populated. To increase your productivity even further, we added some extra smarts to file manager entries in Task Manager for quicker access to your files. Speaking of file managers, I also gave some love to your favorite file manager, Dolphin. Its custom graphics views now correctly repaints on color scheme changes and middle clicking a tab will close it on mouse release rather than immediately on pressing it. Floppies now also show up as “Floppy Disk” instead of “0B Removable Storage”. I have also been working on improving the labeling of Dolphin windows and tabs. Additionally, folder previews now honor custom icons you might have assigned. 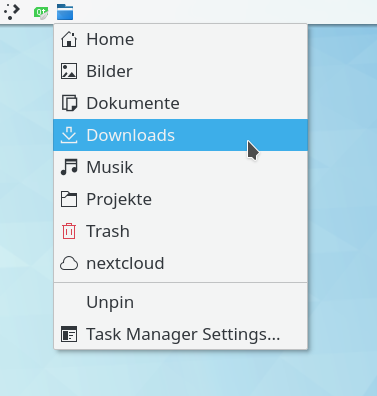 We decided to make Folder View the default desktop containment in Plasma 5.10. Due to that we spent a great amount of time detailing various bits and pieces in it. With the tighter icon grid the Desktop Toolbox overlapping files became a more prominent issue. The elegant solution I found was to have it lower itself behind the Folder View layer when a file is highlighted so it doesn’t steal mouse events from the icon’s controls. Moreover, I designed new selection icons to match the ones found in Dolphin, which draw less attention while at the same time being more easily recognizable. A while ago I also added support for non-square icons to avoid squished thumbnails. The file size restriction for generating thumbnails of local files has been lifted globally now; previously it was special-cased inside Dolphin. This means you now get thumbnails for large files also on your desktop. Keyboard navigation was also improved with more shortcuts being available (e.g. Ctrl+Z for Undo) and the desktop context menu showing up when pressing the Menu key (welcome to 1995 ;). Lastly, the experience when renaming files and support for the Trash location is a lot better now. My favorite new feature in Plasma is interactive notification previews. Currently, we only make use of them in Spectacle, our screenshot tool, but I’m always looking for new places to add them (suggestions welcome). Due to popular demand, I also backported this to KDE Applications 16.12.2 – it was just a one-liner to add this to Spectacle, after all! 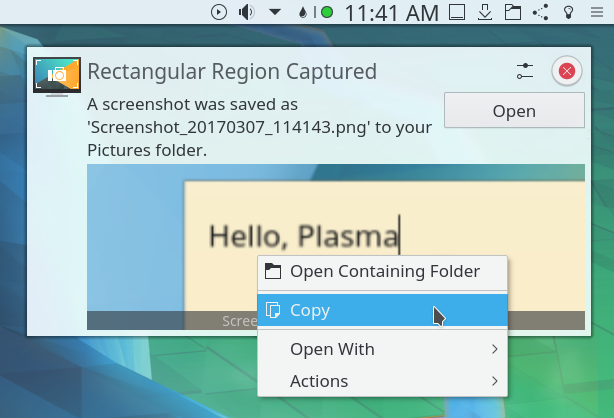 In Plasma 5.10 a context menu was added so the preview behaves even more like a file, enabling you to copy the file to clipboard, open it in an application other than the default, or straight send it as email. Even more shortcuts when taking screenshots! I just wanted to say “thank you very much!”. More Wayland features / advances please! What about hybrid-suspend implementation in PowerDevil ? I had a look at it recently and it’s on my todo but since I don’t use hibernate (or hybrid suspend for that matter) at all, other things kept queue-jumping. Oooh, media controls on lock screen, big whoop. How about restoring the input language indicator within the password field of the lockscreen so users might actually be able to use this screen for its one and only purpose without undue frustration? The tiny indicator in the corner which is thin white text on a light background is not visible to users even when they are instructed where to look for it. A bit of a side question: Is there a way to see the “Places” Sidebar of Dolphin in Folder View. I couldn’t find the way. It accepts “remote:”, “trash:” and “recentdocuments:” (although weirdly enough, recentdocuments only shows me some urls) but it doesn’t seem to accept (any variant of) “places:”. I just want a HIDPI support. I cant use KDE because this support is awful…..
What issues do you have? Plasma scales just fine and Qt has built-in support nowadays. Also, with Wayland we’ll finally be able to have per-screen DPI. I can agree that scaling in Plasma works great. Only floating point scaling factors do not seem to work everywhere (or anywhere). Wayland is a different story. Scaling is not yet really supported and from what I see even a hint of per-screen DPI is nowhere near being ready to go with 5.10. But correct me if I’m wrong. I wish I’m wrong ’cause I really hope I can finally use Wayland with HiDPI laptop and regular DPI external displays. > Only floating point scaling factors do not seem to work everywhere (or anywhere). That’s somewhat “by design” since everything is designed for 96dpi and then upscaled, you cannot have half pixels. Plasma’s scaling should work with floating point factors but Qt’s keeps producing artefacts due to rounding errors which is why (I think it is) the settings module will only allow integer values for scaling. Might be worth a try meddling with your environment and set your QT_SCREEN_SCALE_FACTORS to some decimal values (it’s set by ScreenScaleFactors in [KScreen] in ~/.config/kdeglobals). Please report back how well this works so we could reconsider. Just this week David mostly completed Wayland scaling support from what I can tell (patches are up on review, it’s not merged yet). Actually… What you’ve just said about DPI of 96 kept me thinking. As it turns out, KScreen and it’s KCM set ScreenScaleFactors to desired values (like 1.6, 1.8 and so on) but in the meantime the Force fonts DPI option in Fonts menu is unchecked… Why is that? I presume it’s because multiplying 96 by 1.6-1.9 gives us non-integer values which would naturally not be accepted as DPI value. Set scaling factor to something between 1.6-1.8 to my liking so I have pleasantly big object but still plenty of space, which would not happen with 2x. Set Force fonts DPI to ceiling(factor * 96). Only drawback so far: leave dialog looks like it’s being upscaled from raster image… But the same goes not only for pics but also text. >Just this week David mostly completed Wayland scaling support from what I can tell (patches are up on review, it’s not merged yet). And of course thank you for new features for Plasma, media controls on lock screen? Cool! A food for thought for the lock screen features is using the desktop wallpaper and blurring it. Shall I go ahead and submit it as a wishlist item for kscreenlocker? 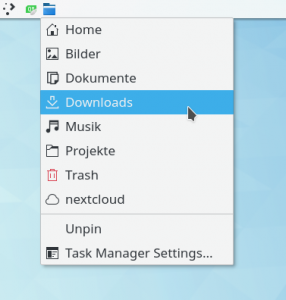 Thank you, you are doing a great work for improve the usability of kde. In my opinion, one area where kwin/plasma could be improved is the managment of fullscreen windows. For some apps like Dragon player or VLC, window’s titlebar could contain an icon for switch it to fullscreen and a panel with autohide could be available at the top of the screen to switch back the window to normal. Interactive notifications generally seem to make sense when it comes to notifications regarding files. Right now I can only think of Browser downloads notification (extract, calculate hash sum of downloaded files etc.) and the mail clients new messages notification (respond, forward etc.). Will there be something like f.lux or redshift be natively included in Plasma 5.10 so that the display’s colour temperature will automatically adjusted depending on the time of the day? Not neccessarily Plasma 5.10 but it’s definitely been a hot topic during the sprint and is on the agenda. I’m using said widget but we would still prefer a more integrated behavior with proper settings modules and everything. Also, we need an architecture for Gamma and color corrections anyway and being able to “redshift” would just be a nice side-effect of that. It doesn’t run with Wayland, does it? So, do you think we will see the return of the old live/dynamic/moving wallpapers(ASCII Animals, Virus, Mandelbrot, Pattern, Picture Of The Day, Weather)? There are also several widgets that have been removed in Plasma 5.x(Homerun, Lancelot, Homerun Fullscreen(the older version), Bouncy Ball, Blackboard, Eyes, Luna, Potd, and several others). 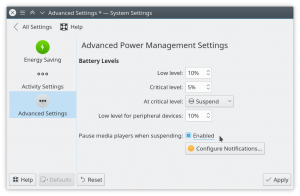 Some KCM’s are still missing from KDE 4(including but not limited to UFW). > So, do you think we will see the return of the old live/dynamic/moving wallpapers[…]? Most of the widgets you mentioned were either toys (bouncy ball) we’re glad to have gotten rid of, won’t work on Wayland (eyes), or are superseded by other concepts we prefered (like the launchers). As for Homerun and Lancelot, I don’t think they’re coming back, sorry. Lol, whats up with all the “where is my pet feature xyz!!!? ?” comments? That’s great stuff, keep it comming! I would upvote you now if I could. Love plasma, progress is sooo noticable from one version to the next! We need bug fixes and Wayland improvements/fixes too. Great work! Slow but steady progress. Can we get something like this for Dolphin’s file transfer? A persistent notification would be much better than the easy-to-miss system tray icon. Is it possible to add a options for the Desktop, for “Icon Position”, Next to Filename and Above Filename.. ? I see that option in the file chooser dialog for kde4’s wallpapers. I have been using a view like this on my desktop in win7 for a long time view regedit and res hack. The icon is on the left, with say 3 lines on the right of it, selection is a rectangle. Also, I was wondering about the old menu type for the panel. In that forum it describes the prob I think somewhat. It’s been a few ver’s since I checked, but I think folders within folders worked now, but item’s in the main section don’t show up, only folders do..
And even if they’re in there in the menu editor, they don’t show up in the menu. The only qml wallpaper thing I would like to see added is video’s.. But other then the menu prob that “I have” with kde5, the only other thing keeping me hesitant is that smooth task’s isn’t ported. I have a modded ver of whatever the latest was on the net. I don’t remember what fork I’m using, but anyways what I like about it is that it expands the taskbar box showing text when on focus. Going from an icon to an icon and text, to a set limit. It’s a little glitchy sometimes on task switching but I think it’s nice, with the panel on the right side of the screen. If that functionality could be added to the taskbar that kde5 has it would be a nice option. As for scaling, I’m on 4k in kde4, after tweaking it’s fine. If anyone is that concerned about it all that takes is a little bit replacing icons and changing dpi settings and so on to match it up, including firefox for ex. And it seems fine in 1080 mode when it messes up and falls back to it because a game told it to sorta thing. Is it avaliable on SDDM? Fedora KDE’s default DM is SDDM. I have a little suggestion for you. I get the notifications for incoming e-Mail all the time, but there is little to do with the notification itself. I’d like to have some options there. Something like: answer, delete or just open mail-client. Maybe you can come up with other fancy stuff. I really like your work and I think all your improvements are awesome. Please keep it up. > Something like: answer, delete or just open mail-client. That’s up to the application. I can’t count the number of times I complained about KMail notifications anymore … I do have plans for inline reply support but given most people use webbrowsers for IM nowadays I’m not sure if it’s really worth the effort. I’ve always wondered about Dolphin Jump Lists. Recent files are displayed for other applications but not Dolphin where it would be handy to access recently visited folders for example. But Dolphin itself is missing these. Working with a recent files or folder widget would greatly improve productivity. The current folder widget will not do that. About Dolphin… Couldn’t you add browsing history? Konqueror has it, web browsers have it, even Windows 95 file manager had it. It’s very annoying to click 20, 30, whatever times the back arrow to reach that folder you know you visited at the beginning of your Dolphin session an hour ago, and then click 15 times the forward arrow to visit another folder already visited more recently. Why is this so, is there any technical difficulty we, common users, don’t know? Because if it’s a functional design decision, a conscious decision, I think it’s a very bad one that makes usability worse. How exactly do you want that “browsing history” to show up? A long-press/right-click on the back button? > Why is this so, is there any technical difficulty we, common users, don’t know? Because if it’s a functional design decision, a conscious decision, I think it’s a very bad one that makes usability worse. I guess just nobody thought someone would want this? I certainly never missed a feature like this in Dolphin. Konqueror has a little vertical arrow to spread the history, but I think right click would be a valid way too, and perhaps users are more accustomed to it since Firefox’s history works that way. Really? O_O Well, that sounds very surprising to me. LOL. Seriously nobody ever thought “I wan’t to go back to that sub-sub-sub-sub-sub-subfolder that I visited early this morning. I don’t remember the path exactly but it’s in my forder browsing history. It’d be very time saving to have a drop-down list, like in my web browser, instead of trying to “chase” it by clicking back once, or twice, or threece, or…”? I’m very curious. How do you manage this kind of directory browsing. Maybe I’m using a too elementary “strategy” and there are better and more efficient ways, I’m now aware of? > I’m very curious. How do you manage this kind of directory browsing. Wow! No, I don’t think it helps a lot to keep browsing simple and quick, heheh. In my opinion Dolphin’s file history isn’t really needed. You have activities and could attach directories to activities. I don’t think I understand what you mean, Sławomir. What have activities to do with directory browsing? I open my Documents directory, and then go to subfolder A, and then to Documents/A/A, copy some stuff and then go to Documents/A/A/A, then Documents/A/A/A/A, paste that stuff; then goback to Documents/A/A and browse to Documents/A/A/B/A/A/B, cut some other stuff, go back to to Documents/A and paste; then, go back to Documents/A/A/B/A/A, wait, or was it Documents/A/A/B/B/A? At this time, the memory begins to fail. I should look on my browsing history, like I do when I browse the web. Oh, wait, there’s no visible browsing history in Dolphin. So what I have to do click Dolphin’s back arrow a dozen times. Really I’m the only one that thinks this is way far from efficient and a usability mistake? How do you guys manage to browse folders without that back/forward click mess? Just open two windows of Dolphin, drag and drop one to the right, the other to the left (automatic scaling) and work with it (instead copy/paste even use drag/drop). Sometimes for time-saving matters I even scale the screen with 4 dolphin. Thank you for the work, since this is media focused, would it be possible to make suggestions? Could it be possible to just click the speaker sign on the tab associated with the window playing media eg Firefox, to mute it, rather than only having the option to right click then mute, also with full screen media playing on Internet browser eg full screen youtube on Firefox, can the cursor auto hide like it does on Windows or when vlc is full screen, finally, any chance of adding the three icons to vlc/media window (skip fwd/back & pause) that appears when hovering over its tab in the taskbar, again, like in Windows. These all small but useful improvements. I explicitly did not implement this to avoid accidentally doing that when you don’t aim at the task entry properly. That’s up to the application to do and Chrome and VLC do that just fine for me. I don’t fully understand. Add those icons where? Thanks for the response, that’s a great idea I didn’t think it might be annoyingly accidentaly hit, but, since it’s possible and in the spirit of KDE make everything an option/customizable, could it be maybe put as an option for people to switch on? Only becasue it’s a convenience and in dimensions, similar to the web browser tab with the same function that most people survive avoiding hitting accidentally. The VLC I would have added a screen shot from my windows system on this blog but i can’t, in windows (10), if you get a chance to look, vlc tabbed previews (is that what you call them? when you hover the cursor over the corresponding icon related to the program (VLC in this example) that exists in the taskbar…. where the program minismises and maximises to) you can see the useful little buttons underneath, in the preview, saving having to open the window. is there a way to add pictures on this blog? > could it be maybe put as an option for people to switch on? Do you really need to use that feature that often? Wow. > similar to the web browser tab with the same function that most people survive avoiding hitting accidentally. In Chrome I can’t click the audio icon on a tab, either. > you can see the useful little buttons underneath, in the preview, saving having to open the window. well i clearly dont cause it doesnt exist ;) theres more use in the icon if it’s clickable to mute, if i need to click , move the cursor and click again to mute that’s cumbursome. >In Chrome I can’t click the audio icon on a tab, either. Yes exactly! :) can vlc do that already? thank u for ur replies so quick and all your work on kde! i dont mean to sound ungrateful or annoying. one other question, any rough time u think wayland will b implemented into the main stable releases? > can vlc do that already? Yup, I added it in Plasma 5.6 already. It will work with any media player that supports MPris and if we managed to match the DesktopEntry it tells us to the launcher entry we figured out from the window (some apps report wrong values there but for VLC it should definitely work, it does here). > any rough time u think wayland will b implemented into the main stable releases? You can already use Plasma on Wayland (choose Plasma (Wayland) session on SDDM) as for when we’ll make it the default, that’s not yet decided but we’re making good progress. Maybe buttons on preview could been per-application or per-window-class configurable. Do you agree? 1. 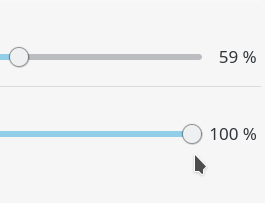 User right-click on sound icon in task manager, so mute option will be near mouse. 2. User click on blank area of the task manager entry, so mute button will be on default position. Another idea is to add submenu to mute button, which could be used to change sound level from speakers. In future you could also add network icon to task manager, so user could disable network for selected application(it could be integrated with flatpak). Thank you so much ! Keep doing your wonderful job ! Can Dolphin show speed of coping (as it is in Windows)? As far as I remember this feature was in KDE4. Nothing has changed in that area. The reason it hardly shows progress is that every file copied is a sub job of the main copy job and every job is looked at separately, ie. only if the file takes long enough to be copied it actually has enough time to calculate a speed and remaining time. That code is also decades old. With Spectacle the screen grabbing works as quick as with OneNote, but it takes more steps to get access to the screenshot as apparently there is no way to push the screenshot straight to the clipboard. Instead I need to either open Spectacle and manually click the save to clipboard button, or select the notification pop up which will open the screenshot in Gwenview which doesn’t allow to copy to the clipboard at all, so next is open in Pinta, Ctrl-A, switch to my app, Ctrl-C and finally I got my screenshot where I need it. Long story short, when you open Spectacle there are buttons to export or copy to the clipboard. My suggestion is to allow users to set a default location which the screenshot is saved to automatically. Open the target app right away, push it to the clipboard right away instead of asking one more time. Would be a tremendous simplification for me. By the way, regarding asking one more time. When I shut down my machine I select “Leave” in the Application launcher, which will open a window where I can specify how I want to leave (Shutdown, reboot, etc. ), after I selected my choice I get to a window where the exact same question is asked again? To close off on a positive note, I really really like what you guys are doing here, KDE and Linux in general are tremendous accomplishments! I am now trying to move as much of my daily work over to KDE Neon with the remaining bits of Windows running in a VM (after all it’s a Windows world out there) , but I can’t have KDE slow me down, hence my comment here. Ah, didn’t know the notification can be dragged along. My initial thought to your proposal was that I always have to line up the windows to be captured and the receiving app first so I can drop the screen shot right away. But I noticed I can also drop the notification onto the app icon at the bottom of the screen. Which, in my case, will open a new instance of Pinta with the screenshot. I would still welcome a “default” location in spectacle but this is definitely better than before! Thanks for this hint, may come in handy elsewhere too..
First things first, plasma5 is really great so thanks for all the work you devs put into it. Do you know when Kwin will get back the ability to tab windows like in KDE4 by any chance? This feature was so amazing for workflow which as far as I know only existed on KDE or back in the day by using the tab/group windows compiz desktop effect. Is there a way to disable media controls on the lock screen? Consider a work environment as a practical situation. This was added in Plasma 5.12, you can now disable them under the “Appearance” tab of lock screen settings.